George P. Cosmatos presents the Director's Cut of his incredibly popular TOMBSTONE, the action-packed,star- studded western that brings the legendary feud between the Earps and the Clantons to life. Former U.S. Marshall Wyatt Earp's (Kurt Russell) plan for peace, quiet and prosperity misfires when he, his brother and the outrageous rogue Doc Holliday (Val Kilmer) encounter that ruthless band of outlaws, the Cowboys. 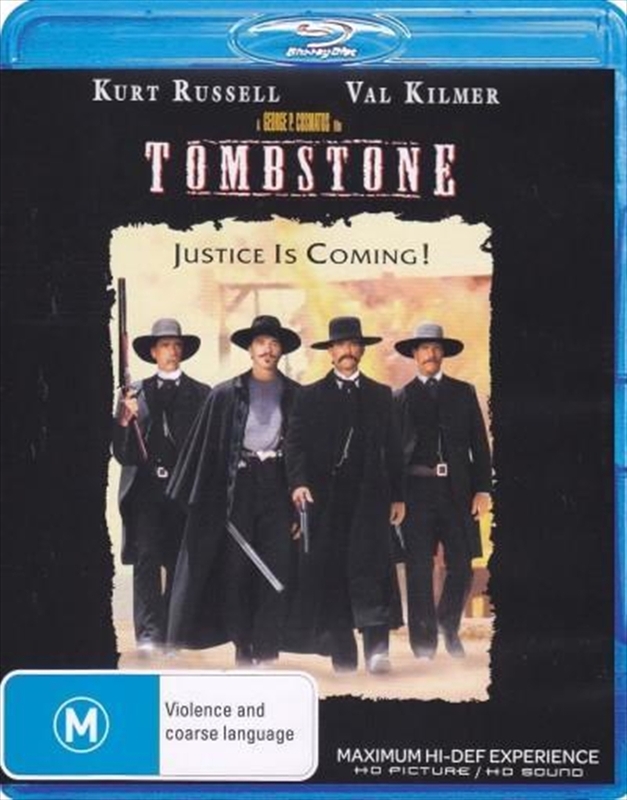 Gripping performances and explosive action fill the screen in this legendary western about Tombstone and the gunfight at the O.K. Corral.